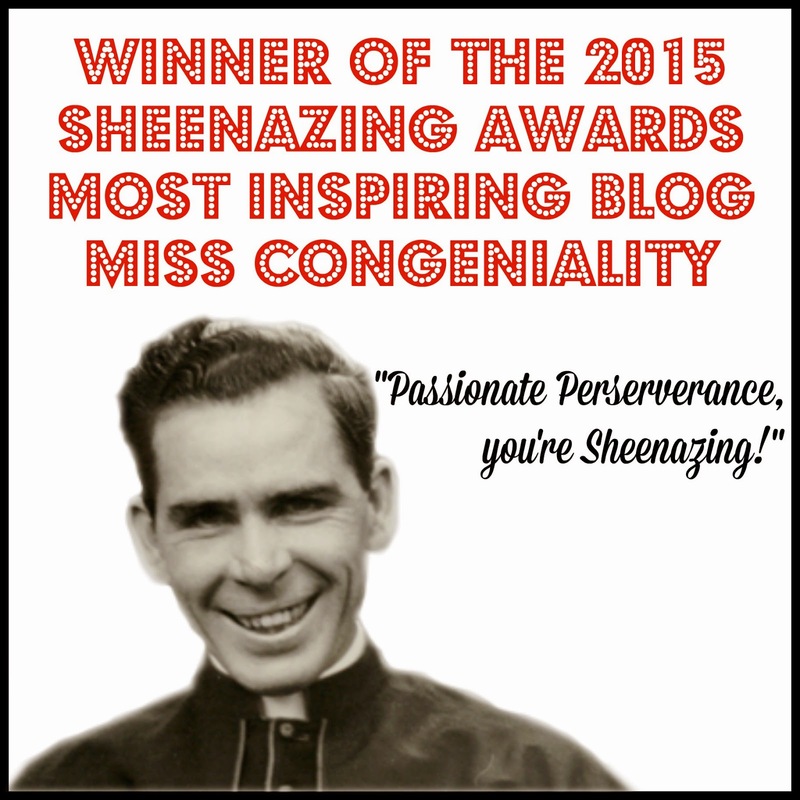 : Winners for the 2015 Sheenazing Awards! 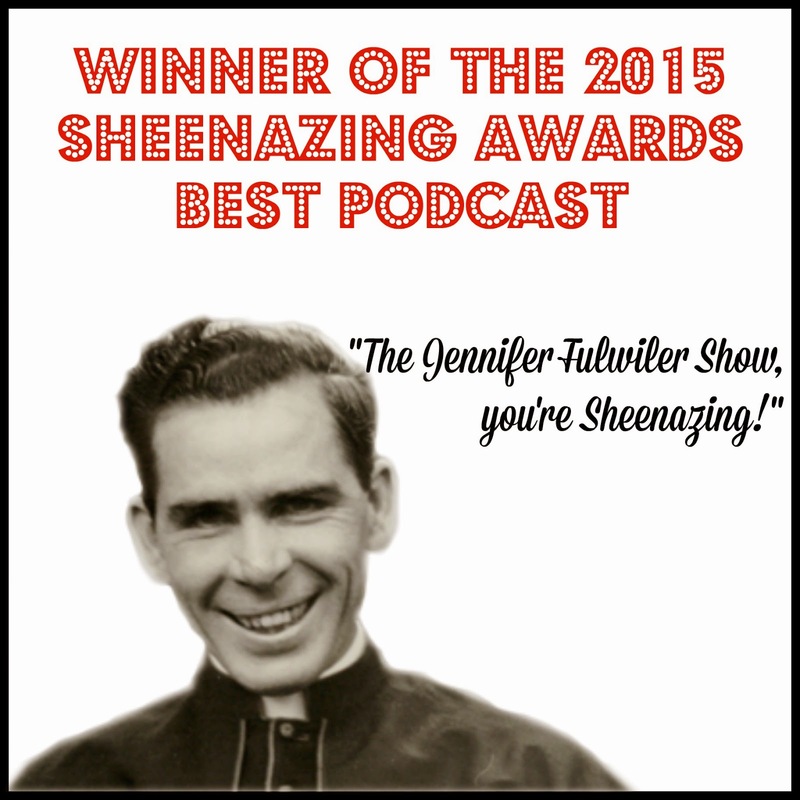 Winners for the 2015 Sheenazing Awards! 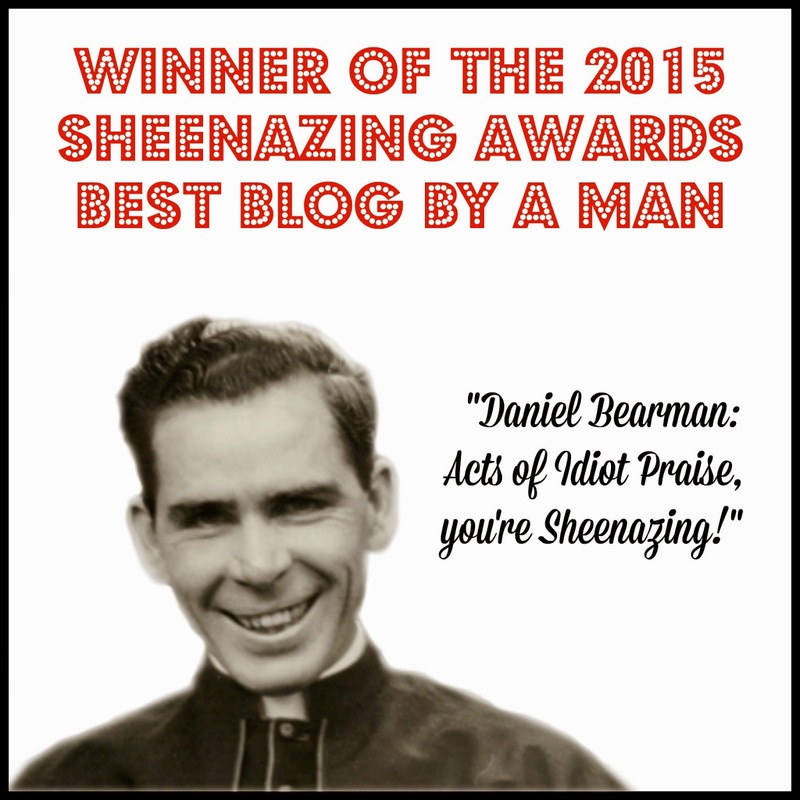 The 2015 Sheenazing Award season has come to a close. 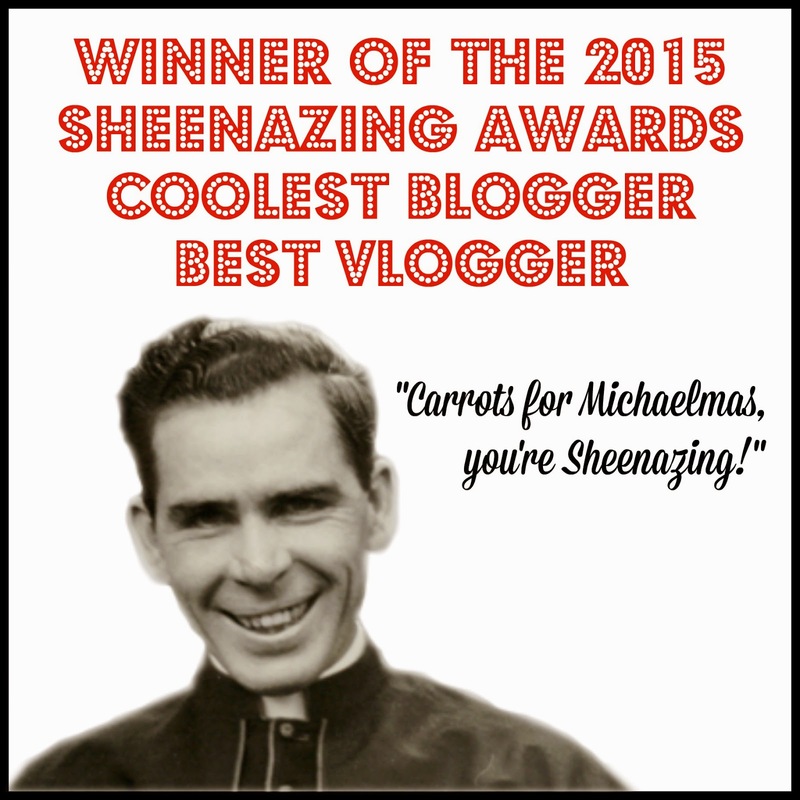 I am so happy to announce the winners and the Runner Ups in each category. Thank you to all 2,493 people who voted! 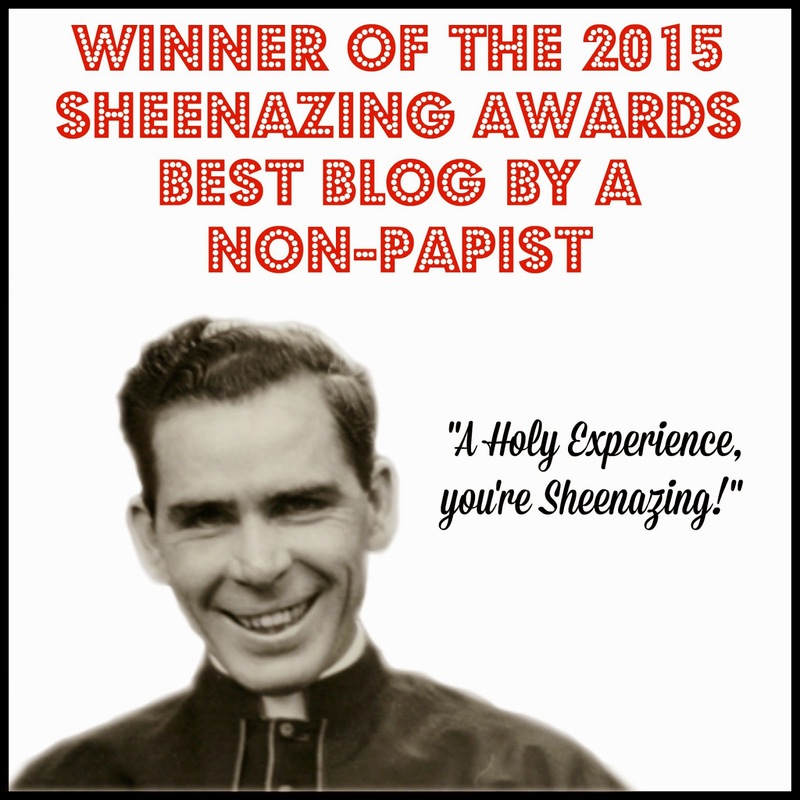 This is a fun way to for me to promote one of my favorite saints and celebrate the wonderful community I am in: the Catholic blogosphere. Also, it's incredibly interesting to see how blog readers vote. 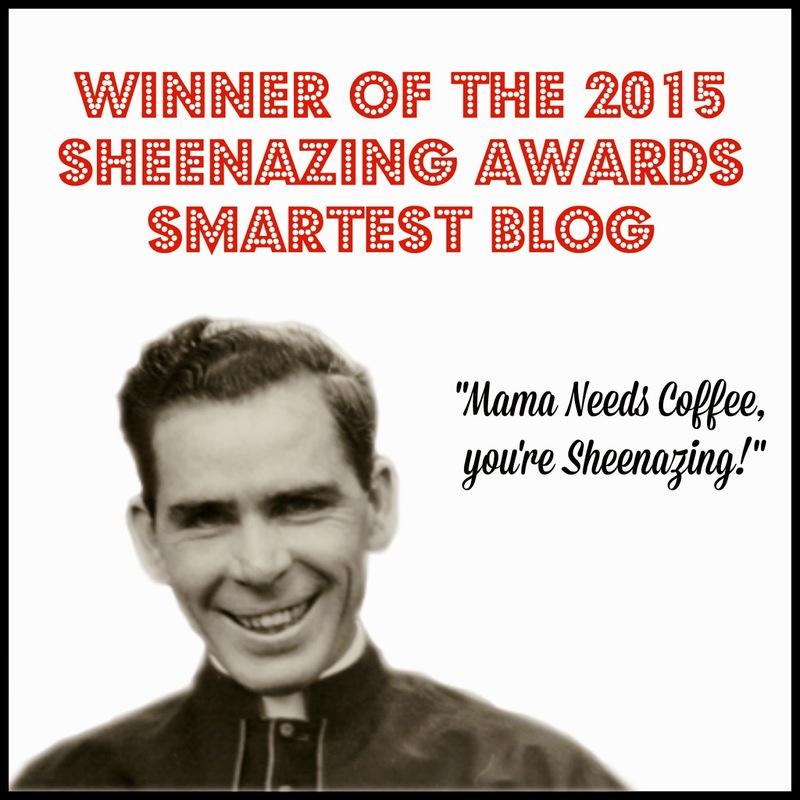 Some blogs won by a landslide (cough, cough Most Inspiring cough cough), some were neck and neck with the First Runner Up. Some blogs that were all over the ballot in previous years only popped up a few times this year and some new-to-me ones dominated. And more than one person asked, "Where's Grace?" The answer, dear friends, is that Grace won so many categories the past two years that she wasn't eligible to be on the ballot for any of the categories she was nominated in. But watch out, because next year she'll be back. If you happened to see any blogs missing from the nomination list please be sure to head over to Erica's and join her link-up of "Blogs That You May Not Be Reading, But You Should" on February 2nd and give a great big shout out to your favorites. When one of the winners told her family that she had come in first her daughter said, "Oh! Do you get prize money?!" Sadly, no. But if you come to my house I'll bake you cookies. 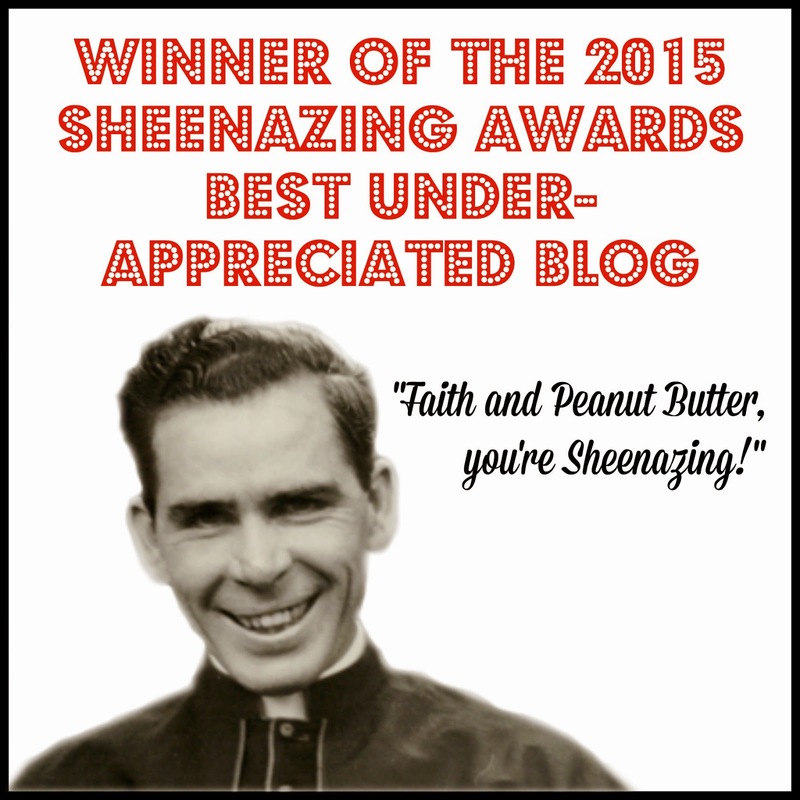 Instead, the winners all receive a firm virtual handshake, the pride in knowing that they've been named the Best of something by a fairly obscure blog, and the right to display a winner's button on their blog. 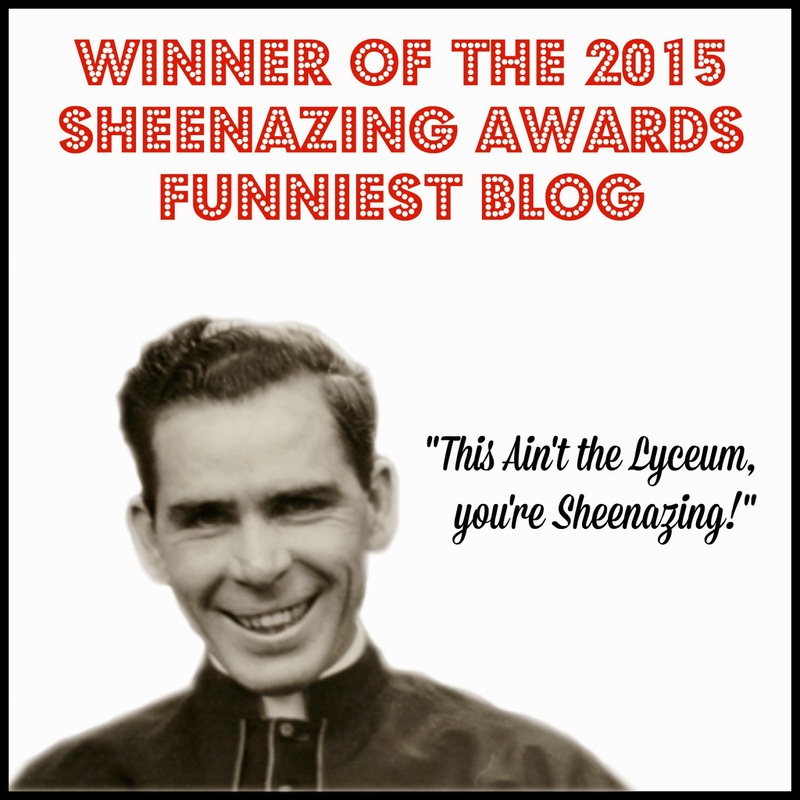 Enough with the prattle - on to the winners! Books, Roses, and Wine Oh My! Bonnie, thank you so much for hosting this. 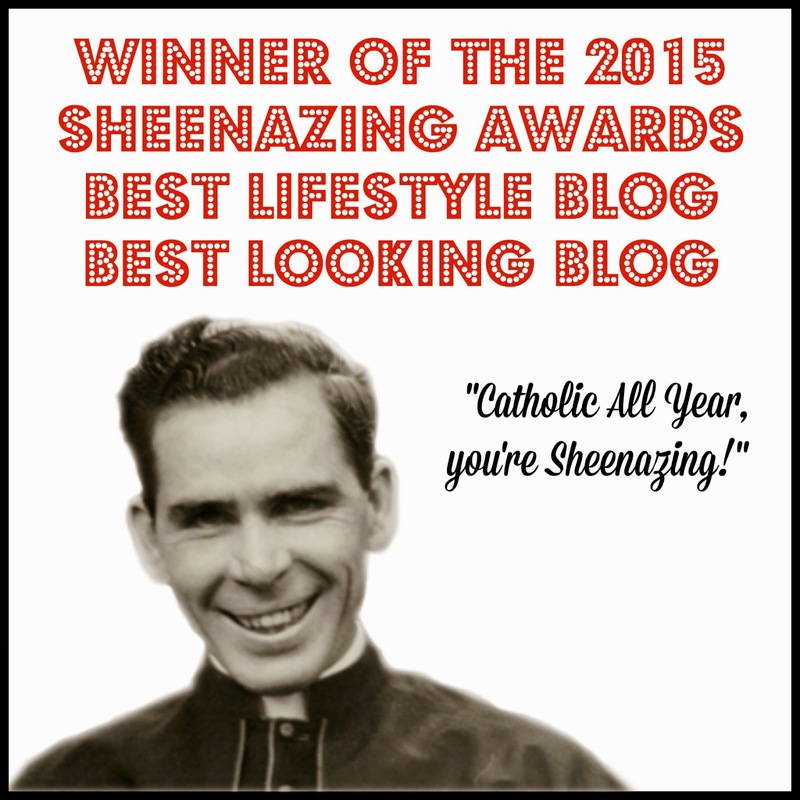 It's such a wonderful way to let people know about Fulton Sheen and to bring people together in our community. I love finding new blogs and meeting new people through this event. You're the best. Congratulations to all the winners! Thank you for doing this, Bonnie! I always love these days because I find so many new, wonderful blogs to read!! How wonderful! Thank you for the hard work. Aw congratulations to all! Thank you, Bonnie for putting this together again. 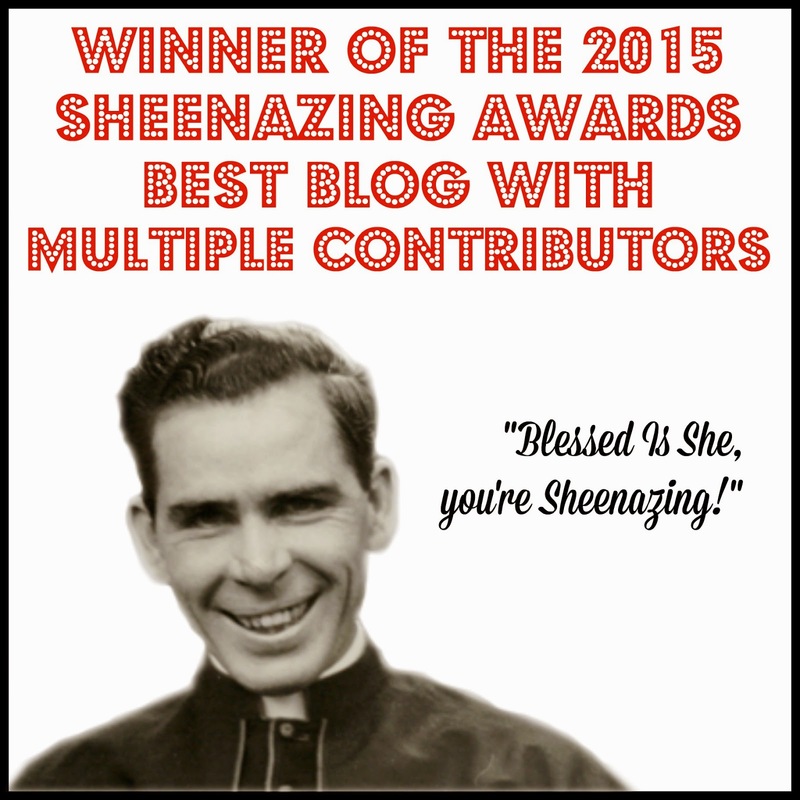 I love this for the Catholic blogging community! So humbled, so happy, so everything...Thanks Bonnie for hosting these awards!! Now for the ice cream!! Thank you Bonnie for all of your hard work. I'm grateful to be a part of it. Congratulations to all the winners and runners-up! Thanks for all you do for this! Can't wait to check out some new blogs. YAYY to all the winners!!! What an honor to be nominated!!!! Thanks for hosting the awards Bonnie, this is so much fun to check out everyone!! !